Most Los Angeles and Southern California business owners and entrepreneurs start their businesses as sole practitioners, or perhaps two or three individuals starting a partnership. During these early stages of the company’s development, proper infrastructure might not be too important — things are less formal and the owner or owners are often able to run things on kind of a “seat of the pants” basis. As the company grows, however, establishing a formal infrastructure becomes more important. When a company reaches the ten-employee level, it needs to make sure that proper financial and operational infrastructure is in place if it wants to be successful and progress to the next level of growth. A key component of your financial and operational infrastructure is your financial statements, which consist of the cash flow statement, balance sheet and profit and loss statement (or P&L). These should be prepared by a trained accountant or CPA and be in accordance with generally accepted accounting principles (or GAAP). Financial forecasts are another important component of your financial infrastructure. 1. It will be difficult, if not impossible, to recruit venture capitalists, angels and other investors. 2. Ditto when it comes to obtaining a bank loan. 3. You and your managers will become frustrated with the inability to get answers to your questions about the company’s financial condition. 4. The company’s cash flow will suffer and you may be unable to pay obligations on time. 5. Internal control problems may arise, possibly leading to fraud and embezzlement. 6. Financial management will be impacted, likely leading to wasted funds. 7. Your accountant or CPA will not have the timely financial data needed to accurately compile your tax returns. 8. It will be difficult to generate the cost accounting and schedules needed for break-even analysis to assist you with gauging profitability. 1. Help define business goals and growth expectations. 2. Develop proper internal control systems. 3. Help recruit high-level administrative positions such as HR, payroll, IT management and finance. 4. Compile and/or review financial statements and make proper adjustments. 5. Develop a 12-month or 18-month rolling forecast. 6. Create a detailed cash flow statement. 7. Strategize debt restructuring and perform ratio analysis. 8. Prepare a company organizational chart that details lines of reporting authority. 9. Advise on hiring employees vs. independent contractors. 10. Introduce proper accounting software that is suitable for the business and its current stage of development. 1. You will receive concise financial reports that will make it easier to obtain bank financing and/or venture capital or angel investments. 2. You will also receive daily internal reports that will help you make better financial and operational decisions based on the company’s current cash flow. 3. Your CPA will be able to prepare better and more accurate tax returns in less time. 4. You will enjoy better relationships with your bank and vendors. 5. You’ll have access to the tools necessary to operate the business in the most efficient manner and the funds needed for capital expenditures. During the early stages of a company’s development, proper infrastructure might not be too important. As the company grows, however, establishing a formal infrastructure becomes more important. Companies need to make sure that proper financial and operational infrastructure is in place if they want to be successful and progress to the next level of growth. 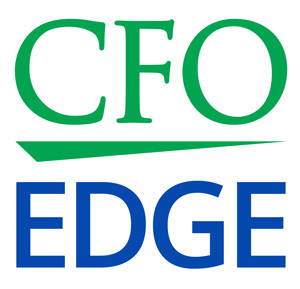 An outsourced CFO services provider can help growing companies build the necessary and proper infrastructure for success. With a sound financial and operational infrastructure in place, companies will realize a host of positive outcomes and benefits.